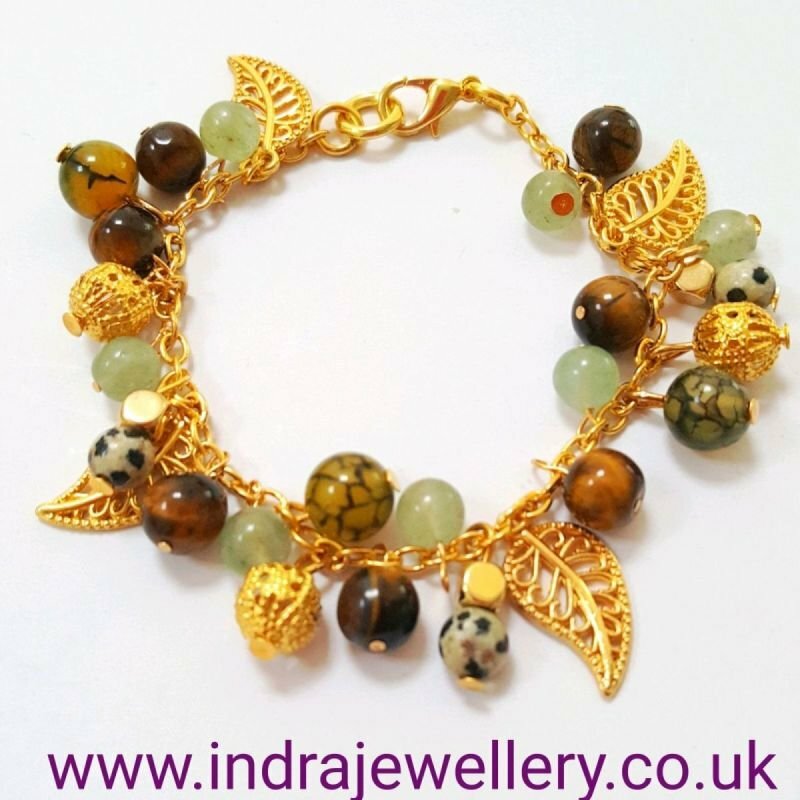 I love the idea of charm bracelets and wanted to make a gemstone cluster bracelet and so I made this gorgeous multi beaded bracelet using gold toned filigree leaves and beads with 4 different gemstones, tigers eye, dragons vein, aventurine and dalmation jasper which all compliment each other. I have finished it with a gold plated lobster clasp. The bracelet measures approx 6.75" in length so is long enough to fit almost any wrist size so would make the perfect present. tigers eye - encourages us to go outside of our comfort zone, giving us the chance to grow, change, and transform into our true selves. dragons vein agate - agate is said to improve memory and concentration, increases stamina and encourages honesty. aventurine - this is a powerful gem for calming negative emotions such as anger that often gets stuck in the lower abdominal area. dalmation jasper - helps to break down barriers you have created around yourself, helping you to move forward in life. It promotes positivity, happiness and a childlike playfulness.